In the old days when everyone used Adpro and everyone use ISDN remote CCTV monitoring was very secure. Sadly it was also very slow and had no flexibility whatsoever.However you could not take it away from Adpro, their product was rock solid. The marketplace though has changed some would argue very much for the better , we now have some excellent broadband services in this country and we have DVRs that have been adapted to both record and transmit video over broadband. The question though is how secure is this remote CCTV monitoring? In there past there was little to go wrong, the phone line was a number that never changed and the receiving centres used Adpro gold, many still do. Now though we have so many different products, formats and protocols that receiving centres have been forced to use front end software that can handle many different products and feed this into the operators in a format that they can monitor. We also now have a 4th party involved. The IT manager or contractor who looks after the on site router and assigns IP addresses. This is where we believe that anyone without experience could easily compromise the link between the installer, the phone line provider and the central station. We have seen many comms cabinets that are insecure, have been poorly wired and open to mistakes when any changes take place. Whats to stop anyone either accidentally or deliberately breaking the link from the DVR to the central station. The problem for CCTV installers is that they will get the blame, they are forced to prove further to any loss where there has been a failure to get the images to the central station, that they are not liable, but often they are unable to prove where the fault is or they may find it is “fixed” before they can prove their innocence. We believe that installers will be caught out unless they employ the services of good IT technicians, this also could well be the case with IP cameras as well. A difficult one but if you have ever been caught out or totally disagree with this view and believe that IP is more secure, please let us know. 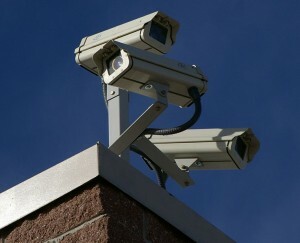 This entry was posted on Friday, March 16th, 2012 at 07:14	and is filed under CCTV. You can follow any responses to this entry through the RSS 2.0 feed. Both comments and pings are currently closed.